This is my #1 go-to emergency dinner. 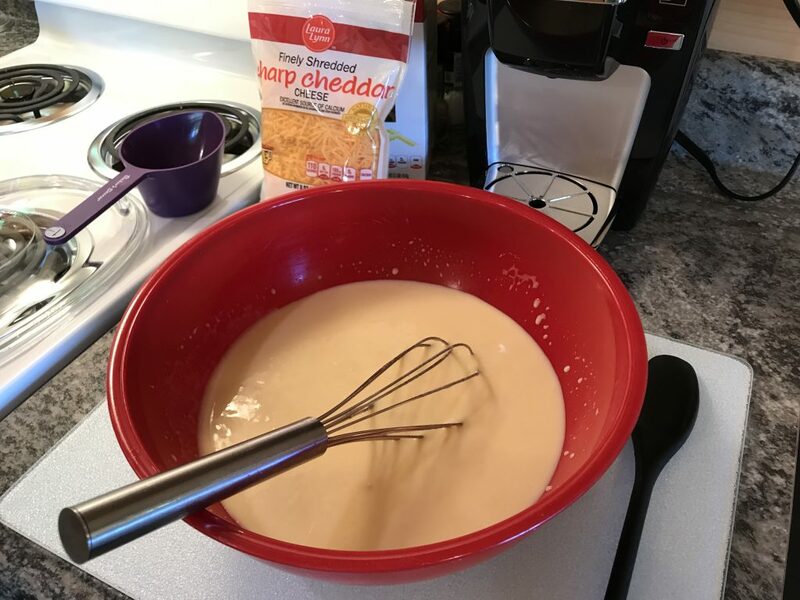 It’s warm and cheesy and doesn’t have any ingredients to worry picky eaters. Plus it can be made in under five minutes and then baked for a hands-free hour. It’s a lifesaver. This also goes by the name – Oven Macaroni. 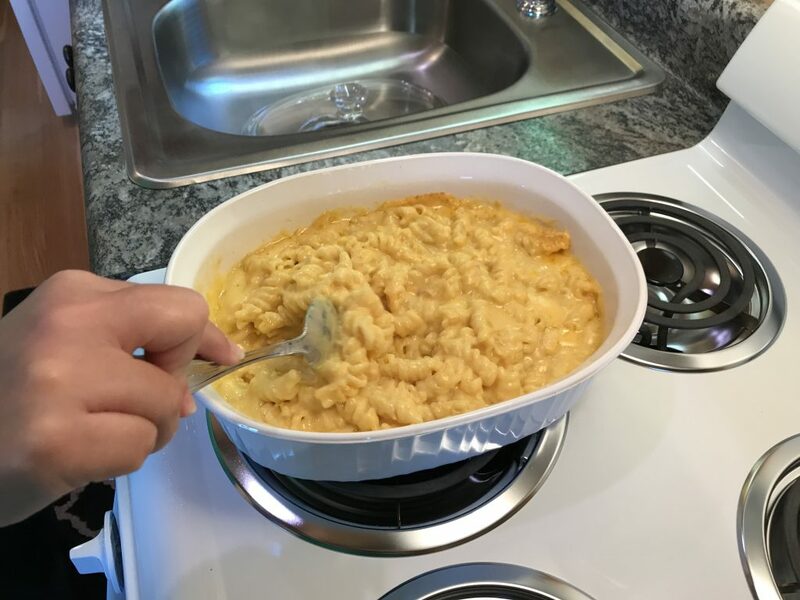 If you are from the South, like I am, referring to this as macaroni and cheese, or worse – baked macaroni, might endanger your life. People here are serious about their macaroni. 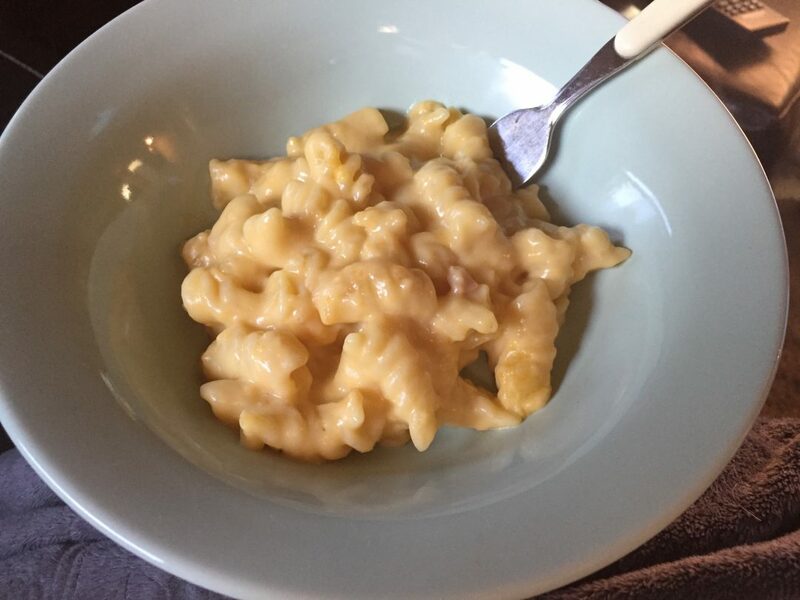 Thank goodness this dish does have a similar taste to macaroni and cheese. In South Carolina, if you play your cards right, you can order a side of macaroni as a vegetable. And if you really know where to eat, you can pick strawberry shortcake as another of your three vegetable choices. Mix the cream of chicken soup and the milk together. 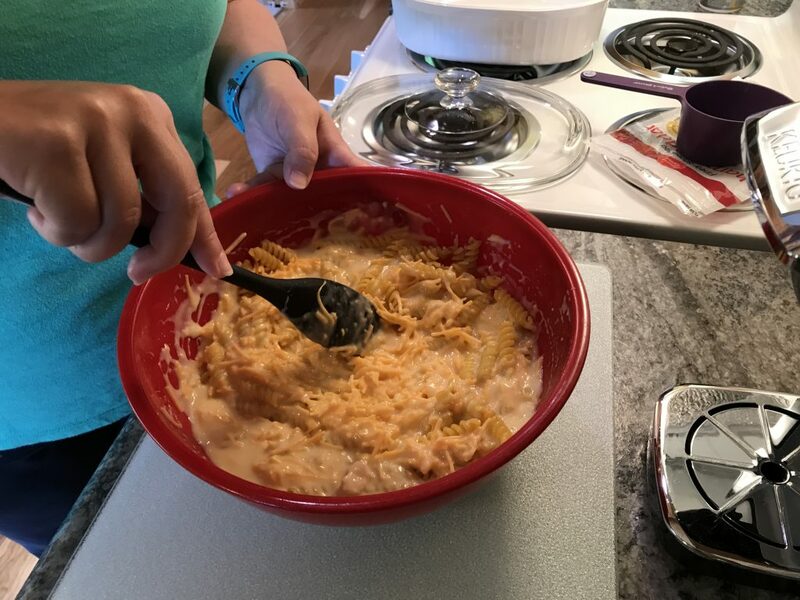 Stir in the cheese and the uncooked noodles. Yay! No boiling noodles! Regardless of the name, I usually use rotini noodles, but penne or other similar pasta will also work. If you do use macaroni, use scant cups (slightly less than full). You can also add diced, cooked meat (like ham or chicken) to this recipe for a heartier meal. Pour into a greased casserole dish. I use a Corning Ware dish with a glass lid. Pick something deeper, like a casserole dish, if possible. Bake at 350 for one hour. 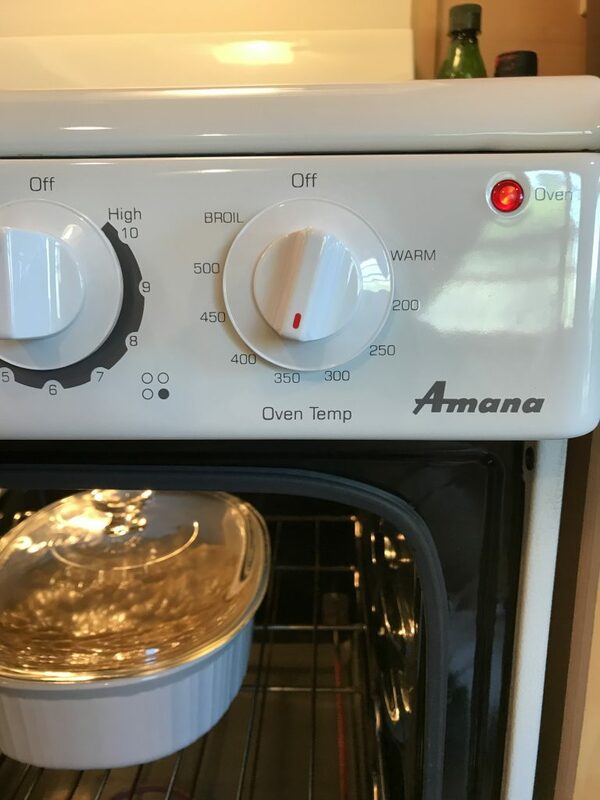 If your oven is not preheated, just add 5 minutes to the total time and stick it in the cold oven. Set your timer and you are free to help your kids with their homework, take a short walk or sneak in a hot bath. Don’t open the oven door during this hour. Be free – like the butterfly! After the timer goes off, pull the casserole out. Stir the mixture, releasing any stuck noodles from the bottom. The cheese will thicken as it cools. Now microwave a veggie and slice some apples. Dinner is done! I also use this as an emergency dinner for others. When taking this meal to others, I like to include a rotisserie chicken, a salad, and a warm dessert – like pie or chocolate chip cookies. This meal is also easy to make in an RV oven! Click the video to see me make this on our vacation in North Carolina last week.